BlackBerry has finally formally introduced the new BlackBerry Z10 smartphone stacked with BlackBerry 10 operating system in India today. The Z10 was launched with pomp and show and an amazing demonstration of the new BlackBerry Z10 mobile operating system shown on the stage in Mumbai, India. 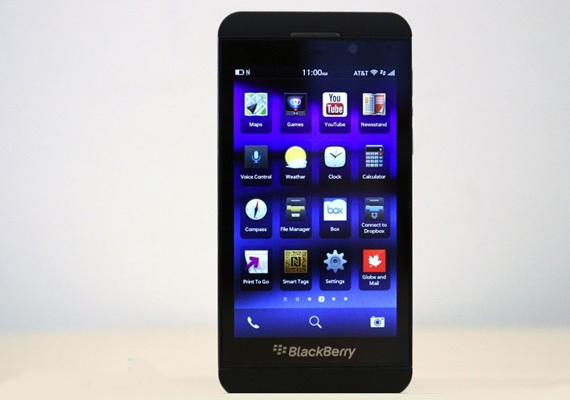 The price set for the BlackBerry Z10 is Rs 43,490 in India and the BlackBerry Q10 is also expected to be available in April this year. As per BlackBerry the new BlackBerry 10 mobile operating system has been developed from scratch using the super elements of the BlackBerry OS and real-time Linux kernel based QNX operating system. The new user interface focuses quite heavily on gestures and on making the best of the available resources to make it an amazing user experience. So basically, BlackBerry has included each and everything required to make this phone a really really smart phone.........Hopefully this would be a stiff competition for Samsung and probably Apple as well.